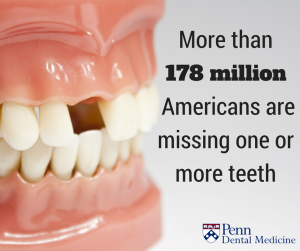 Know how to recognize your smile’s call for help. Call your local affordable prosthodontist! When you hear the words dentures, dental implants, bridges, or crowns do you automatically think of an affordable prosthodontist? You more than likely think of your general dentist before you think of prosthodontics. But should you? 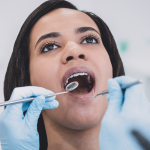 While your general dentist can perform some of these procedures, a prosthodontist is specially trained in diagnosing and treating dental and jaw problems to restore the function and appearance of your teeth and facial structures. 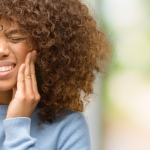 You Have A Cracked Tooth – If you’re experiencing sensitivity or pain when you bite down, you might have a cracked tooth. Craze line cracks are superficial cracks that don’t reach beyond the enamel and may only require a dentist to polish your tooth to improve its appearance. But, if you’re suffering from a deep fracture, a prosthodontist may suggest treating your cracked tooth with a crown. You Have Jaw Pain – If you have been experiencing jaw pain, headaches, or pain in your neck and shoulders then you may be dealing with temporomandibular joint disorders TMJ/TMD. The pain that occurs with TMJ is due to the retrodiscal tissues becoming inflamed. A prosthodontist will be able to treat TMJ/TMD with jaw stretching, relaxing techniques, and stabilization guard. You Have Dentures – When’s the last time you had your dentures fitted? If it’s been awhile since you’ve had them refitted then it might be time to see your prosthodontist. People with missing teeth can experience a significant amount of bone loss, causing their dentures to lose their fit and become uncomfortable and hard to use. If you see an affordable prosthodontist you can switch from dentures to a more permanent natural looking smile with dental implants. You Have Difficulty Chewing – Difficulty chewing can be caused by TMJ/TMD, loose fitting dentures, missing teeth, misshapen teeth, or congenital dental defects. A prosthodontist will be able to diagnose the issue, suggest appropriate treatment options, and then restore your ability to chew properly. 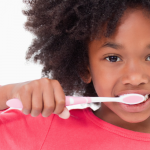 You Grind Your Teeth – Also known as bruxism, teeth grinding can severely damage your teeth. 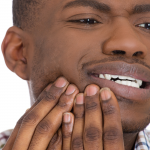 The intense amount of pressure that is experienced when grinding your teeth can lead to chipped or often cracked teeth. As stated above, if the crack is severe a crown would be used to save the cracked tooth. In order to avoid this type of damage to your smile, a prosthodontist can help by giving you a splint to wear at night and avoid any more damage to your teeth. If after reading this list you are thinking that you’re ready to try out an affordable prosthodontist, then contact Penn Dental Medicine for discounted rates today!